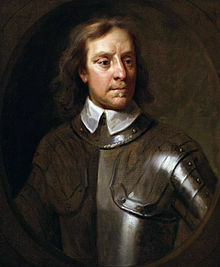 Oliver Cromwell is reputed to have exclaimed during a dispute, “I beseech thee, in Christ’s bowels, think it possible you may be mistaken!” ‘Bowels’ is a great word. I took away a lot of insights from my undergrad in philosophy, but one of the most important for the intellectual life was a distaste for caricature. Professor after professor beat into our heads that in critiquing another viewpoint, you must first present their argument fairly, and in a form they would recognize, before proceeding criticize it. In fact, you should go about trying to find the best, strongest version of that viewpoint in order to argue against it, otherwise you run the risk of an uncharitable caricature that is unjust and only weakens your own, possibly valid criticism. Since my time in college, caricature has become a pet peeve of mine, as well as a particular area of struggle. I hate caricatures when I see them, even to the point where I’ve been found arguing with a friend on behalf of a view I don’t hold, simply because I don’t think is being fairly represented. While I was constantly defending my faith to my non-Christian friends in college, I’d find myself re-articulating their arguments to my Christian friends who might sneer when I was recounting the story. I might be Reformed right now simply because I attended a seminary with a Wesleyan-Holiness background and felt the need to defend the tradition. At the same time, I must confess I have a love for strong polemics. I’ve mentioned this before. Kierkegaard, Pascal, Calvin, Athanasius, are among my favorite authors precisely because of their forthright polemical engagement. Biblical writers such as Paul himself engaged quite forthrightly in polemics, and like the prophets, he wasn’t always the most careful in his sensitivities towards hurt feelings or the niceties of academic dialogue. I struggle with this because when I’m about to engage in critique, I remember this strain of thought. The critique is just “honest.” But what about my own tradition and positions I hold dear? Do I see similar criticisms as simply “honest?” Am I quick to cry foul and “caricature?” Maybe. I’m wrestling through this because I recently got involved in a little imbroglio over a post that I felt was linking a caricatured version of Calvinism with abuse or spiritual abuse. Now, newly-excited about the Reformed tradition as I am, I wasn’t particularly pleased with it and called it out as such. The initial post was quite forceful, and since I was sans coffee when I read it, I replied in kind. In the ensuing conversation I started to think about the way I approach criticism of my own tradition. See, while it’s entirely right to expect a fair, charitable, nuanced criticism that cites the best sources and arguments when engaging in an academic debate about a position, real life presents us with people and situations that aren’t the ideal. For instance, not every Calvinistic or Reformed pastor reads Kevin Vanhoozer, or preaches like Tim Keller, or articulates doctrine with the care and sensitivity of a Herman Bavinck or Francis Turretin. My own experience of the Reformed world has taken place in the context of a gently conservative Presbyterian church with caring, faithful, and sensitive pastors, but much as I hate to admit it, the reality is that some Reformed bodies are real-life, walking caricatures of the tradition I hold dear. Just as Wesleyan or Baptistic theologies can go off the rails in serious ways, so can churches and theologies with putatively Reformed roots. When that is the only expression of Reformed faith someone encounters, distaste for the whole stream is quite understandable. Sometimes the caricatures have human faces. When someone within your fold goes off the rails, they need to get criticized and corrected by those within first. If not, it will probably be done by those with no sympathies for your tradition as a whole, likely imputing their failures to the broader structure of thought. It’s no harm to gently (or less-gently) call out failures or unhelpful distortions within the tradition. In fact, that’s what traditions are: ongoing conversations centered around various shared convictions as well as disagreements. When criticizing those outside of your own tradition, especially one for which you feel less intellectual sympathy, it’s important to acknowledge distinctions and add caveats. For instance, I’m not a dispensationalist and I’ve seen the pop-dispensationalism I’ve grown up with go into some pretty unhelpful places when it comes to biases against Arabs. That said, not all dispensationalism is guilty, and the best advocates would avoid this problem. While Paul didn’t dance around issues, and I don’t think we should either, it’s important for those of us who aren’t authors of Scripture to be careful with our words about traditions with which we disagree. I fail at this all the time, but my conversations with faithful friends, with whom I have some real disagreements, drive me to strive to temper my critical words. In which case, even when you’re going after a real problem, it’s not always simply a matter of “being honest” or “being prophetic”, but also being charitable and just. For the Reformed, we should be particularly quick to be Reformed and always Reforming under the Word of God. We should know we’re not justified simply by being right, but by being righteous in Christ, so that should give us some space to be quick to admit our faults in the freedom of the Gospel. I’ll admit, there is some irony in asking the Reformed to engage in self-criticism; it easily one of the most argumentative traditions in Western theology in terms of inter-tradition dispute. I’m not calling for more arguments about infralapsarianism or supralapsarianism, though. Instead, it’s the willingness to acknowledge the way certain strains and tendencies, even when not necessarily a corollary of Reformed theology, have been present and harmful in our churches at times. In other words, just as people have besetting sins, so do traditions. This isn’t a call to stop engaging real caricatures or defending the faith, etc. By no means! Instead, it’s more of a, “Slow down. Think about it.” This side of the Second Coming it is possible for us to get things wrong or have cause for internal self-correction. “The union we enjoy with Christ is more real and more fundamental that the union we have with members of our own body” (pg. 123) By this he means that our union with Christ is of such a nature that any analogy ultimately falls short of the reality. Legal, organic, familial, and structural metaphors all convey some of the truth, but none fully captures the fullness of the saving union with our savior. “This is not a union of essence–we do not cease to be human and become God or get merged into God like ingredients in an ontological soup. This is is not apotheosis.” (pg. 123) This union is not to be taken pantheistically. Even the patristic dictum, “God became man so that we might become god” must be taken within the context of a strong acknowledgment of the Creator/creature distinction. If anything, the point is that we become more fully human than we ever were before. “We do not lose our personal individual identities in some universal generic humanity.” (pg. 123) Just as the one God is distinctly three from all of eternity, and the humanity of the Son is not destroyed, but elevated in the incarnation, so in our union with Christ, our identity is not destroyed or collapsed into his. We are one by the power of the Holy Spirit, but we remain who we are. 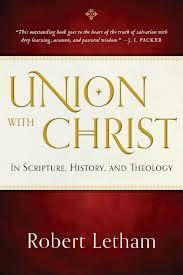 “Union with Christ comes to expression in, and is cultivated by, the Word and the sacraments.” (pg. 124) Through the efficacious preaching of the Word, the Holy Spirit calls us to life and faith (1 Pet. 1:23; Jas. 1:18; Rom. 10:9-17). Those brought to life through the Word are sustained through feeding, by the mysterious activity of the Spirit, on Christ’s flesh and blood (John 6:63). “The body and blood of Christ are not materially, corporeally, or physically present in the Lord’s Supper.” (pg. 125) Unlike Roman Catholic, and to some extent Lutheran, accounts. We truly are given Christ, united with Christ, not physically but by the action of the Holy Spirit who mediates his presence truly. “In the Lord’s Supper we are lifted up by the Holy Spirit to feed on Christ.” (pg. 126) Here Letham builds on Calvin’s spatial language with reference to the Ascension. The Holy Spirit joins us to Christ’s person in the Supper by way of faith receiving his promises. Horton has suggested elsewhere that the spatial language be replaced by eschatological language. In the Supper, the Spirit makes present Christ’s resurrection life of the New Age in the life of the believer. “We are not hypostatically united to the Son.” (pg. 126) The incarnation is unique; the Son takes on humanity only once. The Spirit indwells many, united them to Christ and bringing them into the fullness of life in Christ. We are not to confuse the types of unions involved. “We are united with Christ’s person.” (pg. 126) At the same time, union is not only indwelling, but is rooted in the incarnation of the Son who thereby makes himself one with us according to our humanity. This is a tricky that I’m not quite sure I’ve grasped (not that I have the others). but it’s not only that we are in fellowship with God, communing with him, but are actually united with him, the Godman. It’s a mystical, metaphysical, transformative reality that ought not be downplayed. “It is effected and developed by the Holy Spirit through faith, in and through the means of grace…” (pg. 127) Union with Christ isn’t an individualistic thing, but “churchly.” It happens through the everyday stuff of the life of the church: the breaking of bread, the scriptures, the community, and prayer by which the Spirit has promised to meet us. “It will eventually lead to our being ‘like Christ’ (1 John 3:1-2).” (pg.128) God wants to make us more like himself. For right now we are “partakers of the divine nature” (2 Pet. 1:4), by being set free from sin and the inevitable curse of death. When Christ returns though, we will be glorified like him. United with him, how can the body not eventually be made like the head? Of course, each of these points could be, and are in the book, expanded upon at length. For now they chart a course through the deep theological waters we enter in when considering the riches of our union with Christ. 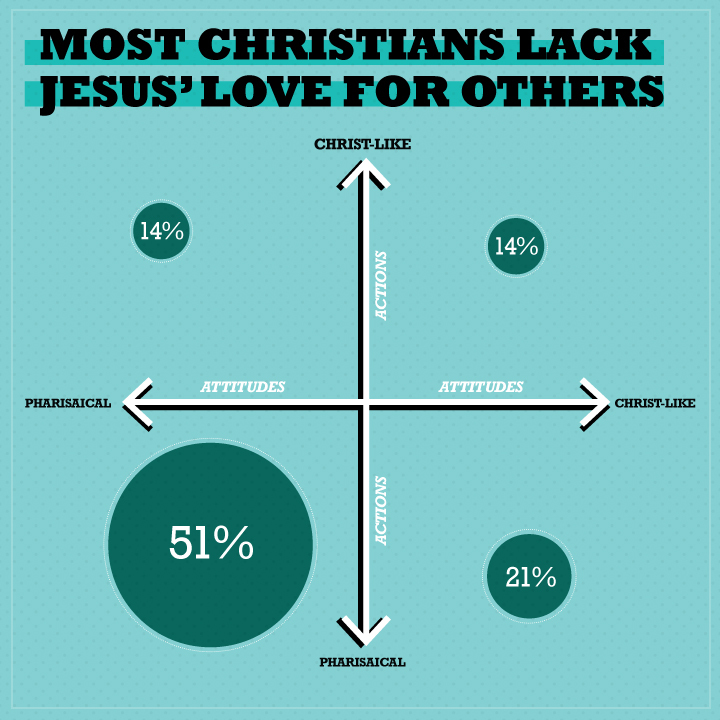 The Barna Group released a new poll last week in which the proposed question was: “Are Christians more like Jesus or the Pharisees?” Christians get accused of hypocrisy all the time, so why not see if there’s some statistical evidence to back up the claim? The findings were derived from 1,008 telephone interviews of which 718 respondents self-identified as Christian from Nov. 11 until Nov. 18, 2012. Respondents who identified themselves as Christian were asked 20 questions, ten of which compared their responses to Jesus’ actions and attitudes and ten of which compared their responses to the Pharisees of the New Testament. You can go read my article about why this really isn’t a big deal over at Christ and Pop Culture. 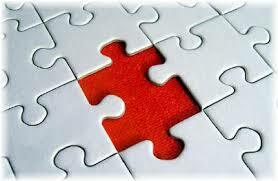 One principle of Christian theological interpretation of Scripture is the practice of identifying typology. To over-simplify it, in the flow of redemptive-history, the sovereign God who ordains all things, prefigures the salvation to be accomplished through Jesus Christ by way of types (events, persons, symbols) to which Jesus Christ’s person and works are the anti-type. For instance, Adam points to Jesus as Second Adam through whom God is creating a new humanity (Romans 5; 1 Corinthians 15). Abraham’s willingness to sacrifice his only son Isaac points to the true Sacrifice of God’s only Son (John 3:16). The Tabernacle and Temple where God dwells with Israel points to the ultimate Tabernacling of God with humanity in Jesus Christ (John 1:14). Once you start to think in these terms, it’s almost impossible not to see Christ on every page of the Scriptures. A particularly important type of Christ in the OT is Israel’s greatest prophet and deliver–Moses. In various ways, the NT reveals Jesus as the New Moses. Like Moses, Jesus escapes the death at the hands of a murdering king as an infant (Matt 2:13-18); he goes up on a Mount to give a new Law (Matt 5-7), which fulfills the old Law; he also institutes a new covenant that supersedes the old one (Lk 22); he rescues his people in a New Exodus of the Egypt of sin, death, and oppression into the Promised Land of salvation (Col 1:13-14). The list could easily be expanded. Moses, who narrowly escapes disaster by being placed in an ark in the River Nile (Exod. 2:1-10)…Moses’ salvation echoes backwards and forwards in the text; backwards to the salvation of humanity from the judgment of the flood by Noah (Gen. 6-8), and forwards to the Israelites’ future escape from the waters of the Reed Sea (Exod 14). Significantly…the figure of Moses, this child born as a type of saviour figure, not only saves Israel but also embodies Israel at times. His rescue from the water prefigures the nation’s salvation from the water; his escape after the death of an Egptian (Exod. 2:11-15) is a prelude to the Israelites flight after the death of many Egyptians (Exod. 12:29-39); his experience of being in the desert for forty years (Exod. 2:21-25) foreshadows the same for Israel (Num, 14:33); his divine encounters before the burning bush (Exod. 3) anticipates Israel before the fire of Sinai (Exod. 19-24). Moses is not only a type of Christ, but a type for Israel. Israel, God’s firstborn son (Exod. 4:22) is another type of Christ, who also wanders in the desert for 40 days and is tested (Matthew 4), so on and so forth. Moses is also Israel’s embodiment at times, which is a type for Christ’s representative embodiment of his newly re-formed Israel. We could chase the connections for pages, but what I’m saying is that this is like a theological version of Inception: we have found a type within a type within a type. The intricacy, beauty, and inter-canonical-coherence of the biblical history of redemption should lead us to awe and worship. While human authors create inter-textual resonances, the sovereign Lord of time creates inter-historical ones. Although writing off an idea simply because it is old is a fairly common move in our context, ancient philosophers, theologians, and moralists regularly appealed to the antiquity of a doctrine in order to establish its authority for the present. Somewhere along the line the witness of history ceased to be a source of credibility for an idea, and in some cases, became a liability. I was reminded of this after writing the other day about Barth’s characterization of eighteenth century man as “the absolute man.” His attitude towards life, the natural order, politics, philosophy, the inner and outer self is that of an autonomous master who has come, or is coming, fully into his own such that his power and potentiality is increasingly limitless. It is an impulse that can be traced throughout various spheres of life including, as Barth points out, his attitude towards history. But what else can this mean but that it was in the eighteenth century that man began to axiomatically to credit himself with being superior to the past, and assumed a standpoint in relation to it whence he found it possible to set himself up as a judge over past events according to fixed principles, as well as to describe its deeds and to substantiate history’s own report? And the yardstick of these principles, at least as applied by the typical observer of history living at that age, has the inevitable effect of turning that judgment of the past into an extremely radical one. For the yardstick is quite simply the man of the present with his complete trust in his own powers of discernment and judgment, with his feeling for freedom, his desire for intellectual conquest, his urge to form and his supreme moral self-confidence. What historical facts, even, can be true except those which to the man of the age seem psychologically and physiologically probable, or at any rate not improbable? How, in face of such firm certainty about what was psychologically and physiologically probable and improbably could eighteenth century man conceive of the existence of historical riddles and secrets? And what else in fact could the past consist of than either of light, in so far as it reveals itself to be a preparation and mount for the ever-better present ‘You’ll pardon me–it is my great diversion, to steep myself in ages long since past; to see how prudent men did think before us, and how much further since we have advanced’–or simply of darkness–a warning counter-example and as such, if you like, a welcome counter-example–in so far as the past had not yet sense the right road to the future, or had even actively opposed it. The third thing which this attitude precluded was that the historian should take history seriously as a force outside himself, which had it in its power to contradict him and which spoke to him with authority. One way or another the historian himself said that which he considered history might seriously be allowed to say, and, being his own advocate, he dared to set for both aspects of what he alleged history to have said, its admonitory and its encouraging aspect. Apparently if we’re looking for the birthplace of chronological snobbery as a dominant intellectual instinct, we need look no farther than eighteenth century man. At root, the impulse to chronological snobbery is the absolute one; it is the confident assurance that history has been in motion leading moral and historical thought to culminate in the worldview or cultural assumptions of the critical historian. Like nature, history was the raw material of time upon which the absolute historian could impose his moral will to reshape and retell the story of his own understanding of greatness. It must be understood, not on its own terms, but from the historian’s own, critical standpoint–one which at no point could be challenged by the object of its study. Barth draws out a number of deleterious effects this mode of historical inquiry had on this generation of historians, one of the most instructive and damning of which was that, “although as a race they were very learned in historical matters, they were at the same time singularly uninstructed, simply because their modern self-consciousness as such made them basically unteachable.” (pg. 37) When you come to believe that the judgments of this age are inherently superior to those of prior generations simply because they are further down the time-stream, you’ve rendered yourself unteachable; you can’t be corrected or called to account or caused to question any of your own assumptions by any other age than your own. Unfortunately, the Enlightenment’s absolutist instinct towards history is alive and well in popular Western culture. The myth of progress, and the unconscious tendency to assume a posture of historical maturity and superiority towards our benighted forbears is part of the intellectual air we breathe. 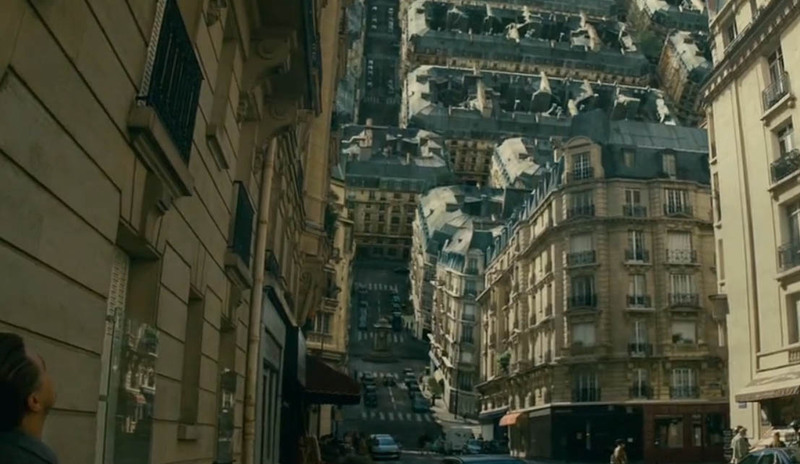 Of course, 200 years on some of the details are different; a certain postmodern fuzziness enters into the equation. 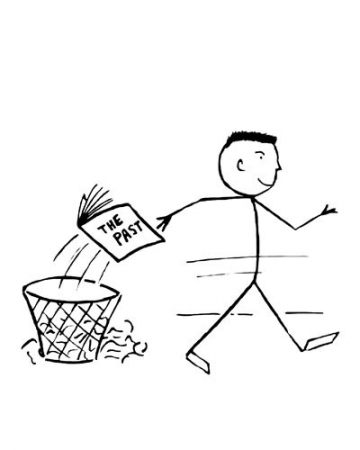 A touch of historicism or relativism may prevent some of us from judging the past too harshly, and yet the basic structure of thought, in which our ancestors cannot speak a real word of correction or instruction to the present still dominates. You must find why it went out of date. Was it ever refuted (and if so by whom, where, and how conclusively) or did it merely die away as fashions do? If the latter, this tells us nothing about its truth or falsehood. From seeing this, one passes to the realization that our own age is also “a period,” and certainly has, like all periods, its own characteristic illusions. They are likeliest to lurk in those widespread assumptions which are so ingrained in the age that no one dares to attack or feels it necessary to defend them. In the words of Tim Keller, be prepared to “doubt your own doubt.” Be “radical” enough to question the assumptions of the present age–even the radical, progressive ones–in order to listen to ages past, which, at times, had a better feel for what life in the “age to come” is to be. First, he is made unto us wisdom, by which he means, that we obtain in him an absolute perfection of wisdom, inasmuch as the Father has fully revealed himself to us in him, that we may not desire to know any thing besides him. There is a similar passage in Colossians 2:3: “In whom are hid all the treasures of wisdom and knowledge.” Of this we shall have occasion to speak afterwards when we come to the next chapter. Secondly, made unto us righteousness, by which he means that we are on his account acceptable to God, inasmuch as he expiated our sins by his death, and his obedience is imputed to us for righteousness. For as the righteousness of faith consists in remission of sins and a gracious acceptance, we obtain both through Christ. In Christ it’s all there. Indeed, the Christian faith can be summed up as, inter alia, a series of unions. There is the union of the three persons in the Trinity, the union of the Son of God with our human nature, the union of Christ with his church, the union established by the Holy Spirit with us as he indwells us. Each of these unions preserves the integrity of the constituent elements or members, being at once a real union and simultaneously not absorbing the one into the other. You could spend the rest of your Christian life simply studying the various unions mentioned by Letham and still not come to the end of the grace and glory of the Gospel. The Triunity of God alone ought to, and will, delight us for all eternity, before we even get to the unions whereby God includes us in that life, becomes our brother, makes us part of the church, or sets us free from sin. Simply put: the Gospel is a union thing.